Keith Norton is Managing Director of Inflexion Point Consulting Limited, a business he set up in 2012 having worked in a wide range of industries for over 30 years. The company helps clients deliver business growth and strategic change by getting people to work coherently in parallel with operational excellence and customer focus. Having graduated from Brunel University with a 1st Class Honours in Electrical and Electronic Engineering in 1981, Keith joined GEC Marconi to work on secure military communications where he designed frequency hopping ECCM protected radios to emerging NATO Standards for the Harrier GR5 and EFA/Typhoon. In 1989 he moved to Software Sciences to develop a dynamic communications model to evaluate industry ECCM radio solutions to the £2.5Bn BOWMAN programme, there his novel development allowed operational analysis to be fully modelled for the first time in MOD tender assessment. Keith then moved on to IBM Global Services in 1994 where he was made Principal Technical Advisor to UK MOD and led a wide range of high value technical and business consultancy engagements. In 1999 after almost 20 years in defence Keith moved to Nokia where he led their System Integration Division for UK/Ireland delivering complex Value Added Services (VAS) to mobile operators; most notably he was responsible for the technical and service delivery of the Multi-media Messaging Service (MMS) throughout Europe. In 2003 Keith moved to the fixed telecom domain joining C&W as Operations Director (Services). Whilst at C&W he introduced an enterprise wide system that increased the billing integrity of the business eliminating a £multi-million revenue leakage problem. In 2005 he joined Serco Civil Government where he led the Serco part of the Trusted Borders team that won the Home Office (UKBA) £1Bn eBorders programme. As Serco’s Contract Director Keith went on to build the team and deliver all of the infrastructure and connectivity for the system which is now in service and delivering significant benefit to the security of the UK. 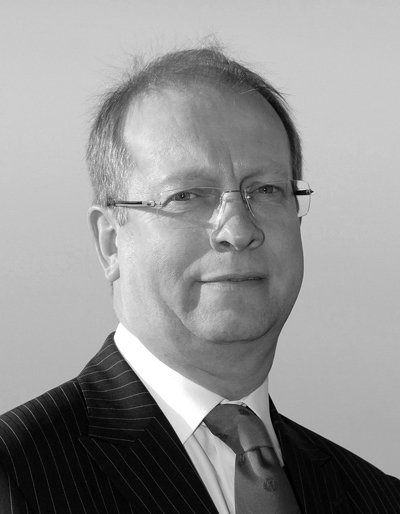 In 2009 Keith joined Paradigm Secure Communications as Managing Director responsible for the £360M/year business. Paradigm was set up to deliver Skynet 5 Services for UK MOD but under Keith’s leadership the business raised it’s international profile and brand and achieved over 65% year on year growth in 3rd party markets. He also restructured and diversified the business to deliver into civil government and broader industrial markets whilst concurrently achieving the highest accolades for service delivery to UK MOD in HMG’s Key Supplier Reviews. Keith has the ability to quickly understand complexity and propose simple solutions that work. He is a specialist in organizational design and has worked innovatively and successfully with the Service Integrator Model (SIM) in the delivery of a multitude of services where rapid collaborative working and customer focus are the keys to success. He has the ability to mobilize a workforce making them loyal and conscientious through empowerment and clarity of vision and expectation.